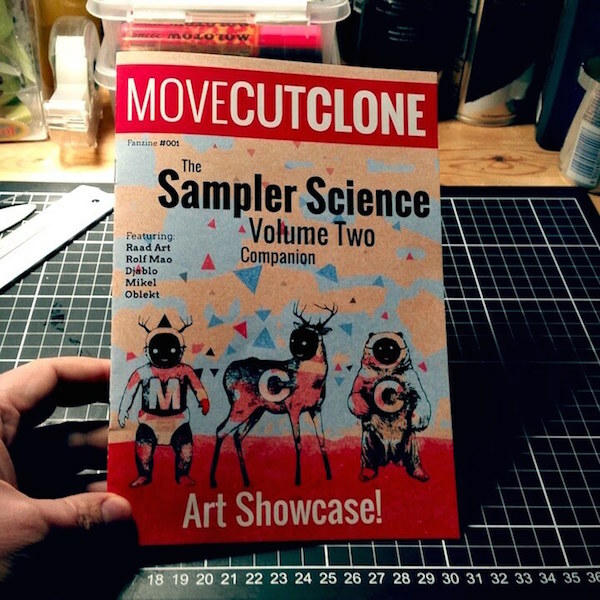 "Move Cut Clone - Sampler Science Volume 2". A cassette with 40 minutes of beats from our nine beatmakers. This is also available on Spotify and iTunes! "The Sampler Science Volume 2 Companion. Art Showcase!" This is a 20 pages fanzine from our five visual artist. The perfect product to rest your eyes on while enjoying the music. The only way to fully get into the "Move Cut Clone" mindset. At last, our brand new cassette is available via our Bandcamp for purchase and world wide delivery. Yummy! Soon also our fanzine and great bundles. Our first fanzine is here! This is huge for us, for the first time ever we have as a collective released a fanzine together with our second cassette release Sampler Science Volume 2 (out this Saturday 7th of March). It features great work from our artists Rolf Mao, Mikel Nilsson, Raadart, Oblekt and Djablo. It will only be available in a edition of 50 so be sure to place your orders this weekend! 2. We celebrate one year as a creative collective! 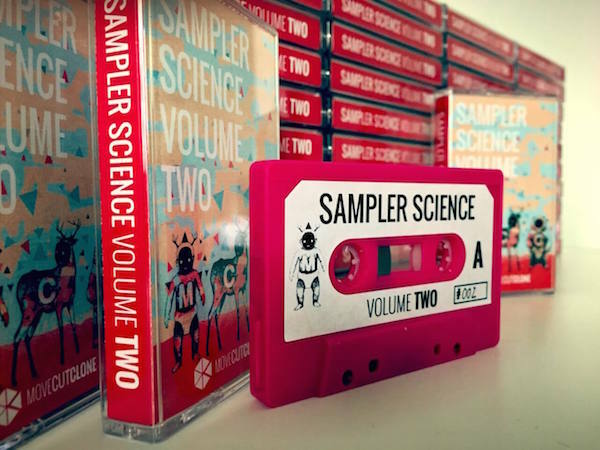 To celebrate the release of our latest tape and fanzine Sampler Science Volume 2 almost all (!) of the MCC members are present shuffling beats and painting live at Linné Skivbörs in Gothenburg. Come by and see/hear us play, buy our tape and fanzine, talk to us and just have a great time. We start playing at at noon. You find Linné Skivbörs at Andra Långgatan 20 in Gothenburg, Sweden.